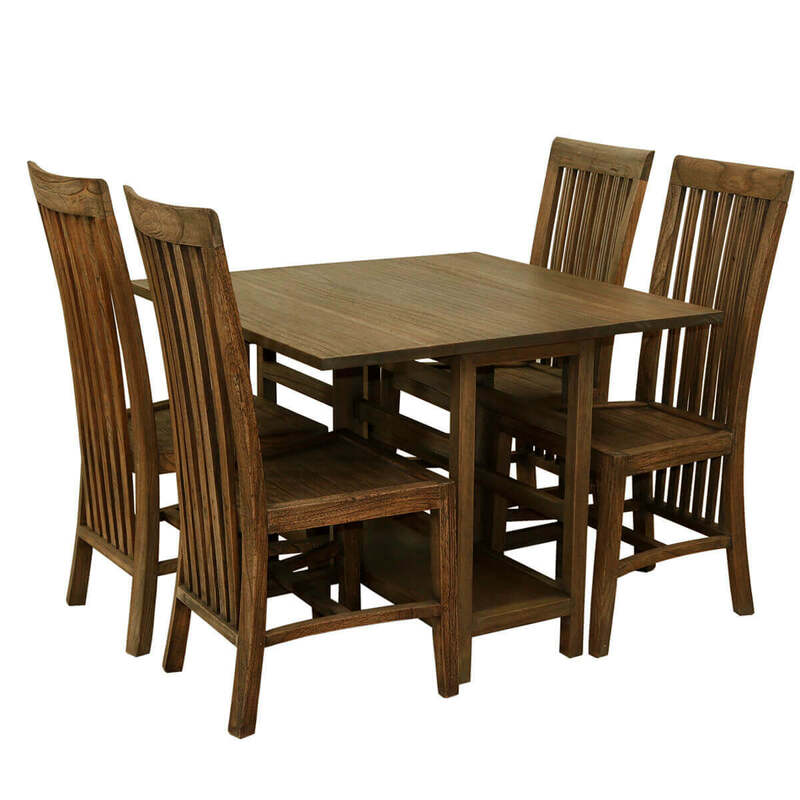 The Pensacola Mindi Wood Drop Leaf Dining Table and Chair Set features a contemporary style to blend effortlessly with modern home décor. 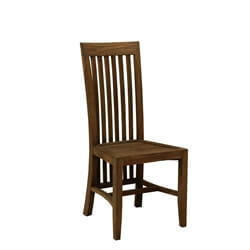 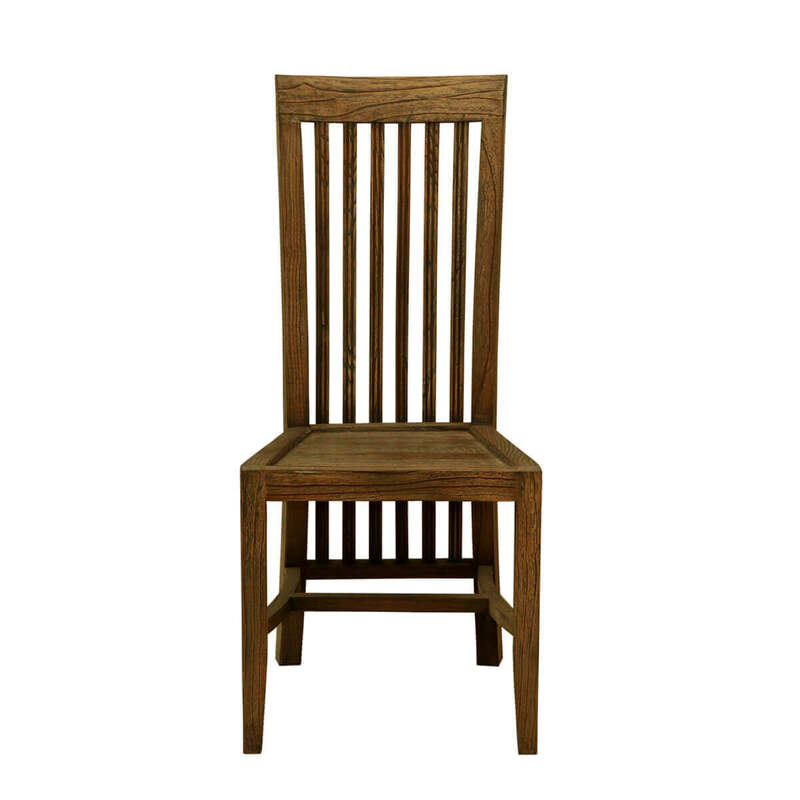 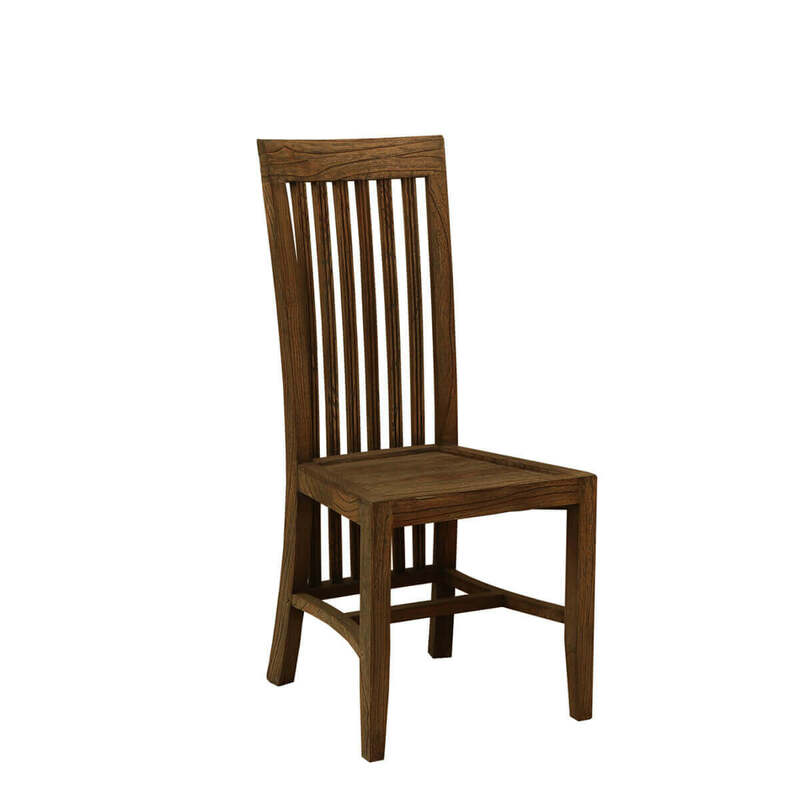 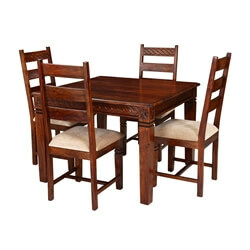 Handcrafted exquisitely with solid Mindi wood, the dining table set features four tall slatted back chairs and extendable table top with the legs joined by slats to complement the chairs' design. 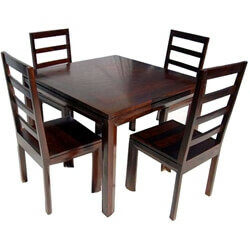 The dining table features a sleek rectangular table top without leaves and when guests arrive, it can simply be extended further to accommodate more people. 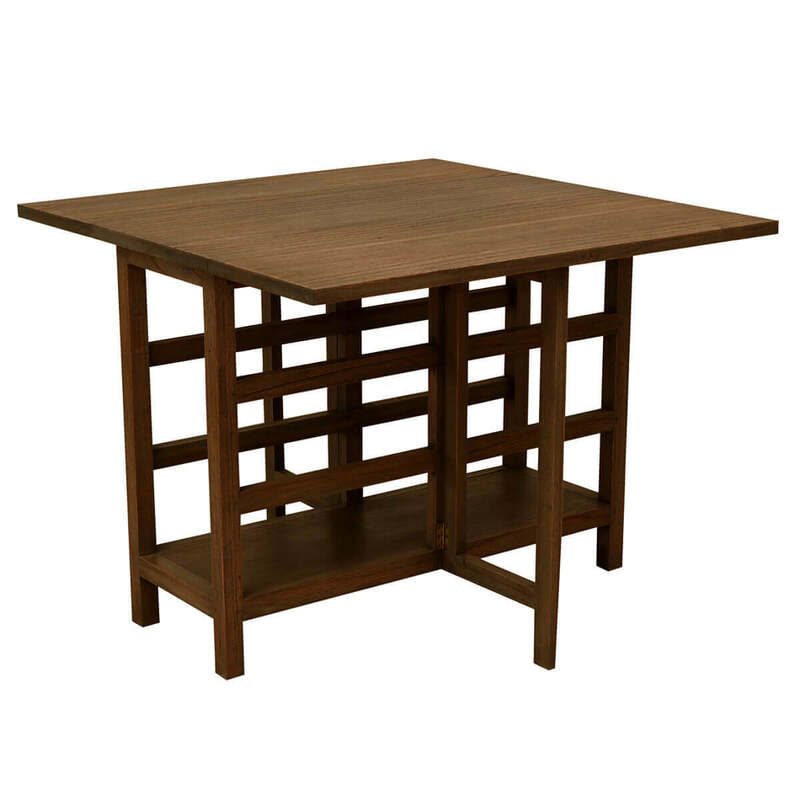 The rich dark tones of the Mindi wood and espresso finish add more grace to its contemporary style making it into a truly chic piece for your dining room. 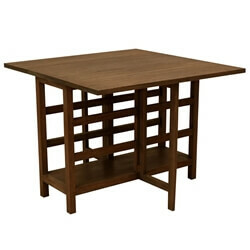 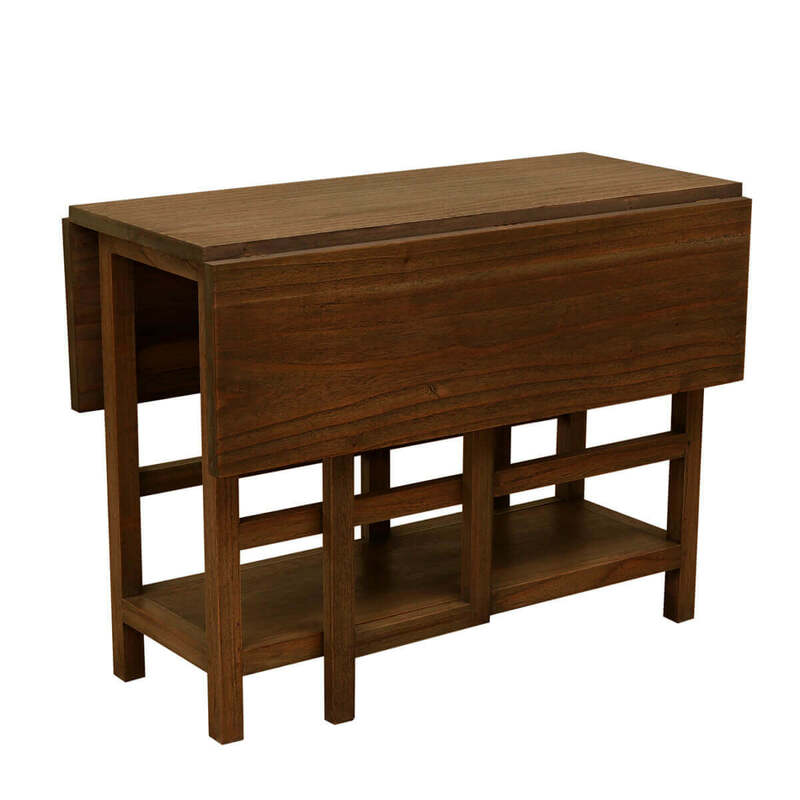 The table with leaves down can be easily used as a console table. 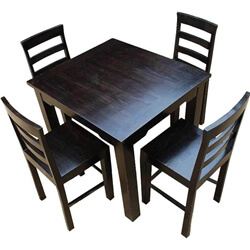 The dining table set is not only heirloom quality but is a perfect choice for small homes and apartments acting as a multi-functional and less space occupying furniture. 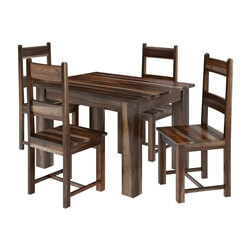 Material: The multi-functional extendable dining table and chair set is handcrafted from solid Mindi wood, native to Asian countries offering years of durability, strength and beautiful grains to up the elegance quotient of your dining area.